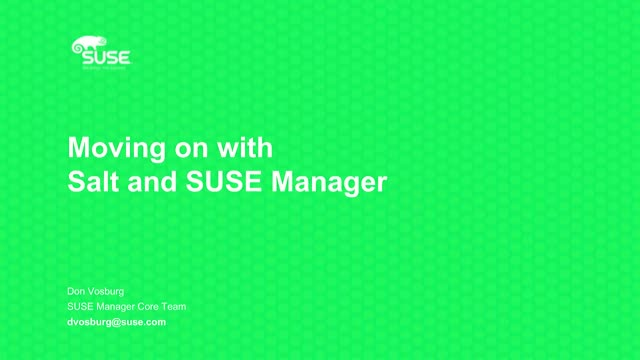 When was the last time you looked at SUSE Manager? Are you running an older version? Are you running Satellite 5.X or Spacewalk? SUSE Manager has powerful capabilities that you may not know about, especially as SaltStack integration progresses. In this webinar we will highlight some of the great integrations that has already been done. Then, our focus will turn to getting there from where you are: migrating from existing SUSE Manager, Satellite, or spacewalk. We will show how to migrate your server to SUSE Manager, and clients to SaltStack minions with practical tips.